The first one is attributed to the philosopher Rene Descartes. The second is from the poem Desiderata. And the third one is from Louis Claude de St. Martin. Throughout the ages, the greatest thinkers of humanity have endeavored to answer this most fundamental question of human existence. Let us now explore how various paragons of the ages have approached it and savor the insights we can glean from their thoughts. “You are a creature of God,” pronounced the Western theologians. But a sinful one, they admonish and thus continue the argument by explaining how you can be saved in the form of the various theories of salvation. “You are atman, a fragment of the Universal Soul,” asserted the Eastern spiritual gurus. Sinfulness is not an issue in the East, compared to the West, but ignorance of one’s true nature is. Therefore, the Eastern spiritual traditions emphasize the need to know one’s true nature. Some would say the East presents a much more cheerful prospect. “Man is rational,” said the ancient Greeks. “Man is spiritual,” countered the ancient Eastern spiritual teachers. “You are a body”, intoned the mechanistic Western physiologists. A lack of subtlety there, everyone can see they have a body. “You are a mind existing within the confines of the body,” championed the Platonian idealists. More subtle, assuredly. “You are a body with a mind that is full of psychosexual dilemmas,” declared the Freudian psychoanalysts. The various psychoanalytic paradigms all flowed from this concept. “Your psyche is rooted to the Collective Unconscious, countered the brilliant Jungian archetypal analysts. And their disciples have been searching for archetypes ever since, uncovering every nook and cranny of the human psyche. “You are a battleground of the forces of light and dark,” lamented the dualistic-minded Zoroaster. Dualistic religions and philosophies flow from this theological position. You are a combination of Yin and Yang, but they are enemies on the surface only. This is a paraphrase from the Taoist masters. For them light and dark, yin and yang, are lovers beneath, whose eternal dance comprises the phenomenal world. “You are nothing,” counseled Prince Siddhartha Gautama upon his ascendancy as the Sakyamuni Buddha, perhaps with a twinkle in his eyes. Did he mean it literally? Allegorically? Or was he thinking of something else. “You may be nothing, but you create your reality by your free will,” added the pragmatists and existentialists. “You are a collection of atoms, obeying the classical laws of physics, argued the mechanical Western scientists. For centuries, this has been the norm of Western classical thinking. But Heisenberg, Schrödinger, and other more super-intelligent quantum physicists arrived on the scene. And they changed the landscape of science forever. “You are a monad, a fragment of the universe, complete unto itself,” offered Leibniz, co-inventor of the calculus. “And you are immortal,” echoed Vardhamana Mahavira, champion of Jainism, thousands of miles to the East. Both of these thinkers are separated by distance and time, yet show surprisingly similar positions. The best answer to this question comes from the hieros gamos, the sacred marriage, of quantum physics and the mystical arts. The most advanced quantum physicists are penetrating into the deepest mysteries of space-time, nature, and the universe. They are beginning to behold the Divine Wisdom, the wisdom of the ages, which has been shrouded in mystery since time immemorial. For centuries, the Divine Wisdom has been in the hands of the mystics of East and West. Experiencing firsthand the presence of Divine Intelligence, mystics are given a true experiential event where they apprehend personally the nature of man and the universe. Hieros gamos. The sacred marriage. More and more quantum physicists and mystical philosophers are communicating, sharing knowledge and critical insights. This conference of minds will help usher the Golden Age of humanity. This concludes our basic survey of the first fundamental metaphysical dilemma. It logically now leads us to the next question…..
“Something is doing we don’t know what.” A legendary remark attributed to Sir Arthur Eddington. Let us continue our pilgrimage in wisdom by studying the second fundamental question of existence, the question of origin and purpose. Two great systems of thought contested the nature of man’s origin in the past: creation and evolution. The diametrical opposition of the mechanical scientists and the stubborn theologians dominated Western civilization for centuries. But today, a new kind of thinking is emerging which is destroying the obsolete paradigms of the past. In this paradigm, both viewpoints can be assimilated into a new system of thought, one that synthesizes both creation and evolution. The universe is suffused with energy. And Einstein has demonstrated that matter is simply crystallized energy, a new concept that was extended by the mystical quantum physicists. This position correlates well with the viewpoint of mystical philosophers that matter is the lowest form of energy. We can accommodate the creation theory by tentatively accepting that the creation of this universe did exist as a point in time, corresponding with the Big Bang of the Western scientists. That settles the point of view of creation. Observe the universe. Explore our world. Open your eyes to your environment. The forms in our world exist as hierarchies. But the hierarchies are inter-related. Atoms give rise to various molecular arrangements. Molecules give rise to mineral categories. All the various kinds of plants are composites of atoms, molecules and minerals. But the whole is more than the sum of its parts. In other words, a plant is more than a collection of atoms, molecules and minerals. It is something more! And by extension, all the forms of life are more than the sum of their preceding hierarchies. Plants exist as the subsistence of some animals. But animals are entirely different from plants. In the same way, humans eat plants and animals, but their forms are different. Humans are infinitely more complex than plants or animals, although these forms are composed of the same fundamental building blocks: the atoms, molecules and minerals. Thus, there exist hierarchies in nature. Preceding wholes give rise to new kinds of wholes. The building blocks remain the same, but the configurations are entirely different. All these permutations in nature display the fact that energy configurations are evolving from one context to the next, from one level to the next, from one hierarchy to the next. Visualize smaller circles of life giving rise to larger circles of life. Smaller energy configurations giving rise to higher energy configurations. This, then, is the new paradigm that accommodates both creation and evolution. In this way, we see evolution manifesting as the development of energy configurations in different environmental matrices, each building on the preceding whole. And creation is the original impetus that gave rise to the universal primordial archetypes of these forms. If energy configurations are evolving, then the level of awareness of these energy systems are evolving too! The level of awareness of an atom is limited to energy interactions that maintain its nuclear shape and integrity and insure its ability to form molecules with other atoms. The awareness of a monocellular organism is something else entirely. Its biological activities revolve around the maintenance of homeostasis and the capacity to reproduce. Thus, its awareness of itself has reached a different level, not necessarily higher in essence than the preceding system of an atom, but perhaps richer in context. Because the necessities of homeostasis and reproduction will cause the organism’s awareness of its environment to be on a higher level of context, richer, and more detailed. Which leads us to human awareness. The consciousness of the human has reached a level where he begins to inquire on the fundamental questions of existence. His awareness of himself is not necessarily higher than molecules, plants or animals. Rather, it is richer relative to the environmental matrix. Because if the human is to survive, he has to assimilate and conquer more of its environmental variables as compared to the lower hierarchies. Therefore, we can see that evolution is proceeding level by level, whole by whole, context by context. This is a secret that used to be shared only by the best quantum physicists and the most enlightened mystical philosophers. This is the fact that evolution means not only the development of outer physical forms but it is actually the enhancement of consciousness as a form experiences its pilgrimage through the levels of complexity in the nature of the universe. Creation means the inception of a universe. Evolution means the development of awareness or consciousness in that particular universe as its levels of complexity deepen; thus revealing their inherent beauty. And now, we are ready to tackle the final fundamental dilemma…..
“The journey of a thousand miles begins with a single step.” This is a mystical saying attributed to the semi-legendary figure of Lao Tzu, reputedly the author of the Tao Te Ching, and considered the nominal founder of Taoism. We have seen how the forms in nature are evolving into more complex forms, hierarchy by hierarchy. This process pervades the entire universe. And while matter is the outer form or clothing of this process, it is the evolution of consciousness which is the engine that drives it. There have been many allegories of this process. Some mystical writers compare life on earth in particular and life in the universe in general to a school. In this allegory, all beings are enrolled in some kind of school where skills are gained, lessons are learned and insights assimilated. In mystical Hindu philosophy, the tempering forces are called karma, dharma and samsara, among others. When a particular insight is learned, developing beings go on to the next level, where there are fresh lessons and new insights. Another allegory worth considering is that of a pilgrimage or a journey. In this particular allegory, the beings of the universe are on a grand adventure. The goal is perfection in evolution as well as the joy of exploration. I find this allegory to be a perfect educational tool for aspirants in the spiritual path. From the point of view of a single individual, life is so complex with its attendant problems and vicissitudes. Anyone can be overwhelmed by the sheer complexity of it all. Yet, all the great spiritual traditions of mankind have maintained that life has a purpose far more magnificent than our mundane existence. The trick is to discover the higher meaning of life. For this, all spiritual aspirants since time immemorial have been challenged to open their eyes to the wider world. Expand your consciousness. Inquire more. Reflect more. Contemplate more. Meditate more. Discover more perspectives. Get out of your shell, psychologically speaking. As the forms of the universe evolve into higher and higher modes of expression, so you too are invited in the great banquet of eternity. We have seen previously how the forms of life seek to produce more wholes, each more complex than the preceding one. In the same way, the journey of evolution is a pilgrimage of wholes. Let us see how this journey plays in the dance of the universe. Reflect very deeply as we essay the next few statements. This incompleteness is not your fault (paradigm shift in Western religious thought). Rather, it is the product of inexperience. Why is this so? As you have journeyed in the planes of existence, you have assimilated experiences from your own perspective. Since you are a fragment of the greater whole, this perspective is necessarily incomplete. You can gain a better understanding of the infinite universe by increasing the quantity of your travels in awareness. This means experiencing more of the whole from your vantage point. More lives. More experiences. Thus, the wheel of time, the cycle of reincarnation. Meanwhile, you are a whole that seeks to enhance its wholeness. You seek perfection, but think it unattainable. Well, good news, your lower mind cannot attain perfection by itself. It must use other weapons at its disposal; some of which are known only to the Collective Unconscious. Waiting to be discovered, of course. Yet, you are incomplete. A fragment of the Greater Whole. And this is the reason why there is a pilgrimage. You are bound to evolve, into greater and greater Wholes. Your coherence increases as your pilgrimage deepens. Your capacity to process information shall increase! And you shall evolve, more and more, expanding higher and higher! 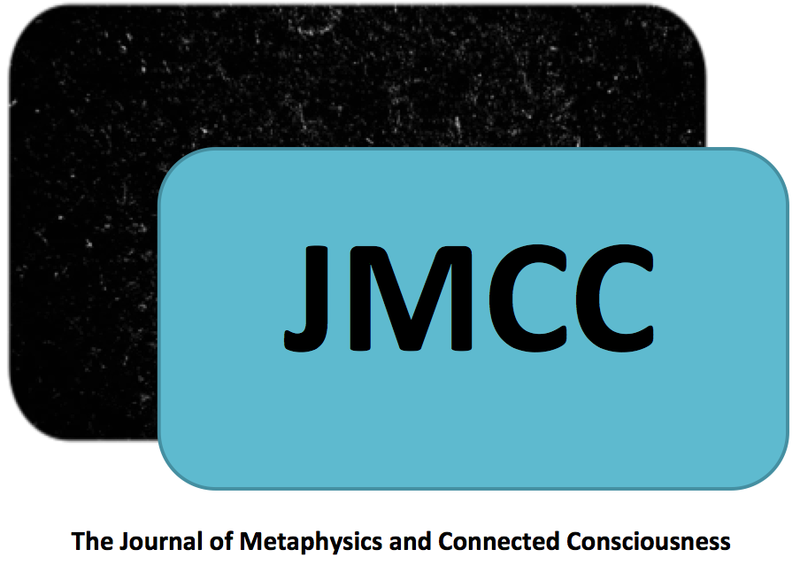 The Journal of Metaphysics and Connected Consciousness provides original content from contributors in the fields of Metaphysics, Philosophy, Spirituality and Consciousness Studies. The Journal also welcomes articles from other disciplines that focus on our themes of interest. 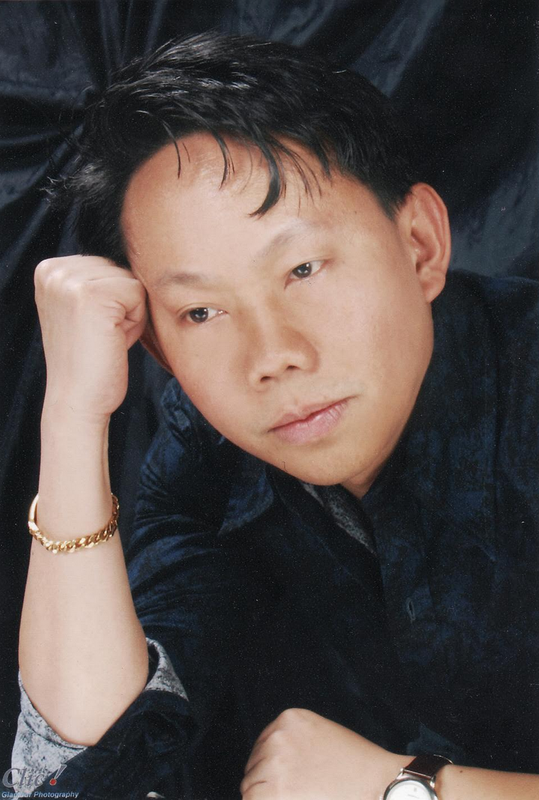 The founder's belief is that through a multidisciplinary approach to the exploration of life and Consciousness, we can all come to greater understanding of our place in existence and increase the health and well-being of humanity. Contributors retain copyrights to their works while being afforded the opportunity to share their knowledge through the publication of articles with a wide audience. This is a peer reviewed journal. To view our contributors, please visit the Bio's page or for submission guidelines, please visit the our Guidelines page. This journal is edited by Reverend J.L. Harter, Ph.D, founder of The Ministry of Connected Consciousness and the Journal of Metaphysics and Connected Consciousness and Dr. Liam Leonard (editor, author and publisher). You can contact the editor at jaiehart@gmail.com. 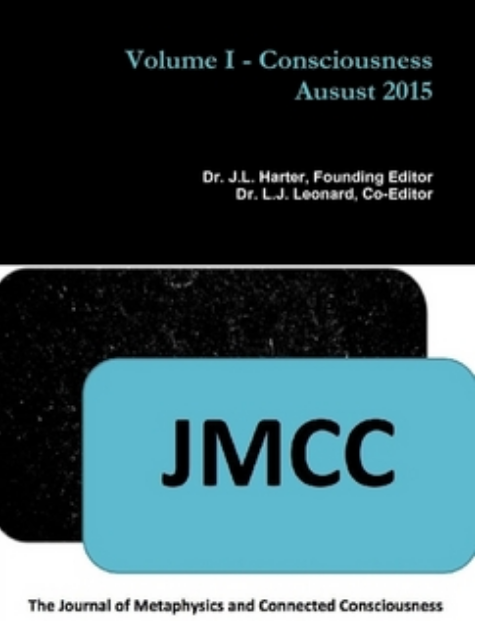 The views expressed by our wonderful contributors are not necessarily the views of the Journal of Metaphysics and Connected Consciousness or The Ministry of Connected Consciousness. They are presented here for your information and for your contemplation. Nothing expressed herein should take the place of common sense or the need for you to research and validate your own beliefs or the information presented (which the contributing founder hopes you will do). Copyrights to artcles are held by its contributors. The journal copyright held by J.L. Harter. Picture Window theme. Theme images by mammuth. Powered by Blogger.